.The text can be altered to your personal message and you can choose between the fonts displayed or hand calligraphy for an additional cost. 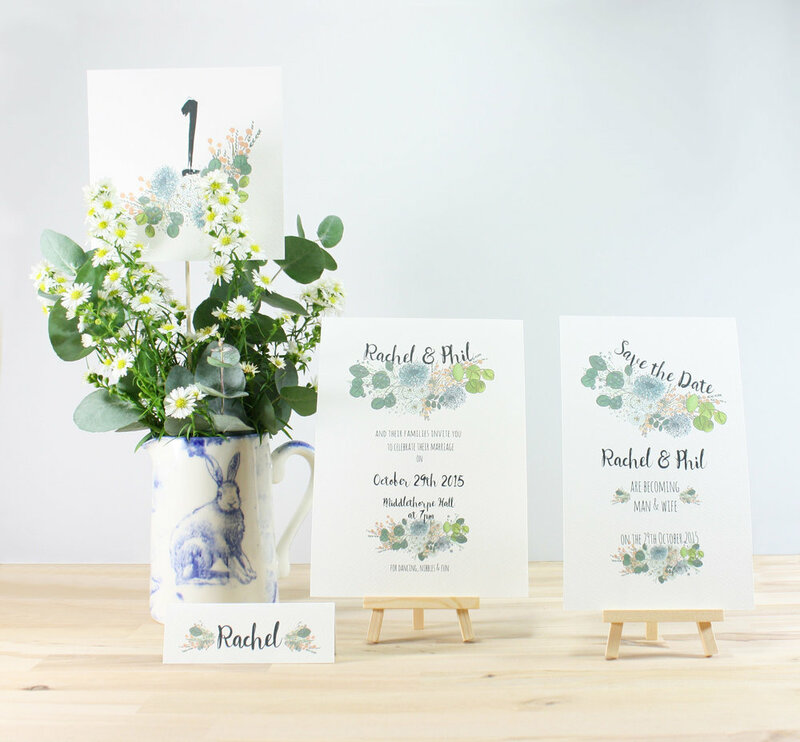 The stationery collection can include save the dates, invitations, table names, place names, order of service, menus and a seating plan. Here is a price list for you to see a guideline of our prices for our wedding stationery products. We do offer package deals for the full collection and prices may alter from the price list depending on your requirements. If you are interested in a couple of items or the whole collection, please get in contact with your enquiry and we can provide you with a quote.